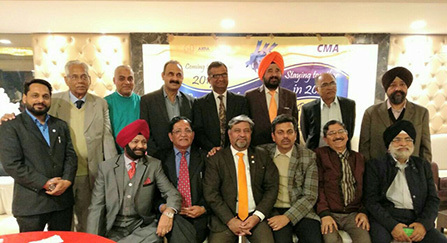 Chandigarh Management Association celebrated the New Year with its members, laying special emphasis on the Publication’s Initiative. The initiative has a dual purpose for the New Year. One it aims to spread the management education through the literary works and second to make CMA a promoter of literary skills for its members. The event was attended by CMA members and their families at Hotel Western Court, Sector 43, Chandigarh on December 28, 2017. It received six blogs for CMA Website on this day one, which would be published on approval of CMA’s Publications Committee.